Boston Red Sox players were furious about Jhonny Peralta’s appearance for Detroit in the ALCS last October, Ken Rosenthal reports for Fox Sports. Three members of the Red Sox spoke about how upset they were to face Peralta, a player who had been suspended fifty games for performance-enhancing drug (PED) use earlier in the 2o13 season. The new MLB Joint Drug Agreement wouldn’t allow suspended players to play in the postseason, so the issue is now moot. However, the Red Sox may be forgetting to look in the mirror in a sport where “cheating” is never an isolated incident. When facing the Tigers in the 2013 ALCS, Red Sox players vented among themselves about Peralta’s right to play despite the fact he had been banned for PED use. Peralta knocked in the game-winning run in ALCS Game One. 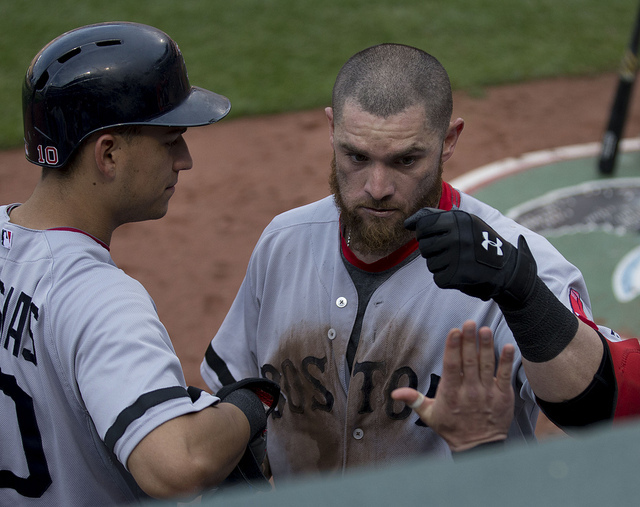 Outfielder Jonny Gomes told Fox Sports there was “a lot” of conversation about Peralta’s appearance, adding the tone was “not positive.” Gomes was wryly understating the hostility Red Sox players felt at the time. In 2012, Jonny Gomes played for the Oakland A’s, a team that edged Texas by a single game to claim the American League West. They eventually lost the AL Division Series to the Tigers in five game. 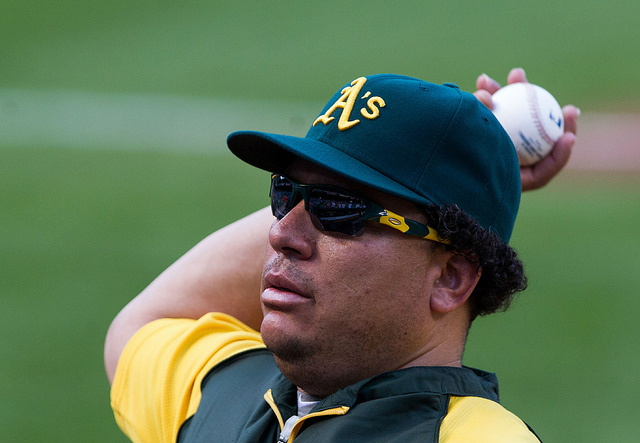 On that Oakland squad was pitcher Bartolo Colon. After winning ten games and throwing 152 innings for the A’s through August of that season, Colon was suspended fifty games for PED use. Since the Colon suspension was meted out in late August, the A’s pitcher was suspended through the end of 2012 and into the following season, which means he was ineligible to play for the A’s that postseason. The question begging to be asked is what Gomes (or the A’s as an organization) would have done had Colon been suspended earlier in the year and returned to the team in time for the playoffs. Another question that comes to mind is what right the A’s had to be in the postseason based on the stern appraisals the three Red Sox players gave PED users. Why should the A’s have been allowed to enter the postseason when a known “cheater” had thrown 152 effective innings for the team, winning ten games and tipping the scale in their division win over Texas? Didn’t they in effect “cheat” their way into the playoffs? Ken Rosenthal notes there also skeletons in Boston’s own closet. The New York Times reported in 2009 that David Ortiz was on a list of players testing positive for banned substances in 2003. At the time, there were no suspensions for being caught. Though Ortiz denied ever using steroids (and the issue was forgotten by the media), many baseball fans consider Ortiz a suspect from an era of rampant PED use. Hitting behind Ortiz in 2003 and the 2004 World Series Champion Red Sox was Manny Ramirez. In the annals of “cheaters” caught by Major League Baseball, Ramirez holds the unique place of being suspended twice for PED use. In 2009 when playing for the Dodgers, Ramirez was suspended for fifty games. Manny was later suspended 100 games — the longest suspension ever at the time — for testing positive for PEDs a second time. Ramirez chose to retire rather than serve the punishment. Ortiz and Ramirez were the cornerstones of Boston’s first championship in eighty-six years, yet had either player been caught in 2004 they would have been ineligible for the postseason according to the rules now in place. For decades, baseball has had a problem with PED use, and the investigation leading to the 2007 Mitchell Report aimed to solve it. Critics of the report have often cited the fact that a member of the Red Sox Board of Directors was the one conducting the investigation. It has forever clouded the findings of a report that famously avoided any prominent members of the Red Sox team. The era was clearly a tainted one for baseball. Gomes’s former teammate Bartolo Colon presents the perfect example of the fact that no player is immune to the stain PED use has brought on the game. Before players attack offenders past and present, it’s useful to remember one’s own history.